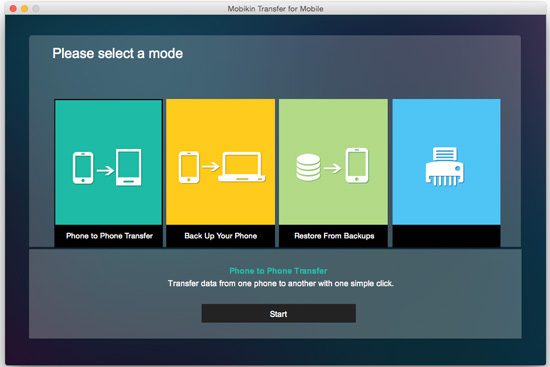 It is necessary for smart phone users to know how to transfer files between the mobile phone and computer because there are more situations in the reality that require you to perform the transferring process. That is also why this page be posted. Here we will offer you the simple and useful solution to transfer data between Meizu and computer. 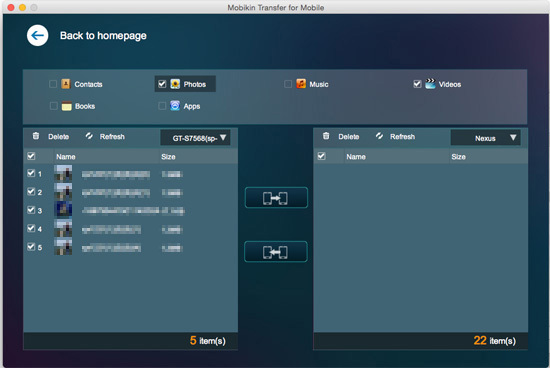 To achieve the goal, you need to the help of a third party tool - MobiKin Android File Transfer (Windows/Mac), which is easy to operate and requires no professional knowledge. The more detailed introduction of the software are as follows. - The software enable you to transfer data between phone and PC freely and easily within and the whole process will cost you just a few minutes. - It also can not be easier for you to manage the applications on computer, because this procedure enable you to install or uninstall many apps with one click at one batch. 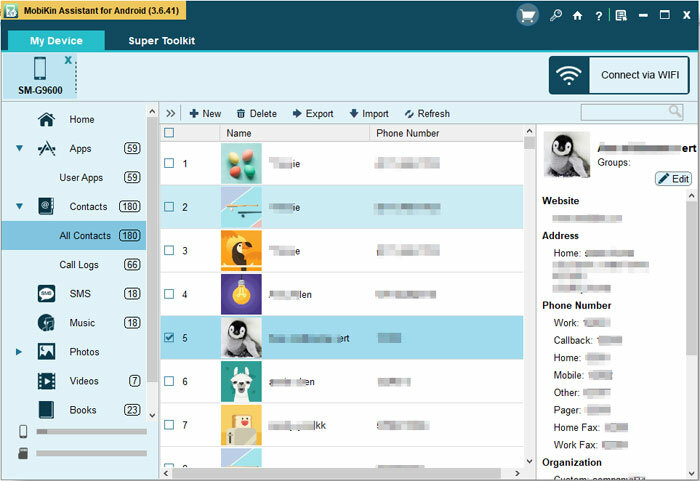 - It will detect the connected device and scan all the files including contacts, SMS messages, photos, videos, music and so on, and then display them as different options on a window, which will make it easy for you to find the target files. What's more, all the scanned data can be transferred between computer and the smart phones. 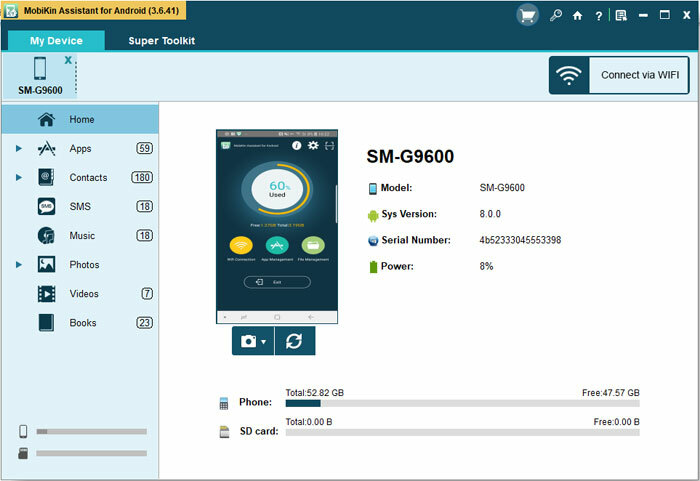 - The program can support all the brands of Android phones like Sony, Motorola, Samsung, HTC, LG, Meizu, etc with high compatibility. Besides it can work well with all grades of Android operating system from Android 2.0 to the latest one. Here we will take the Meizu phone as the example to offer you the guide to transfer files between Meizu and computer. There are two versions available and you can choose one according to the operating system of your computer. How to Transfer Files between Meizu and Computer? Step 1. 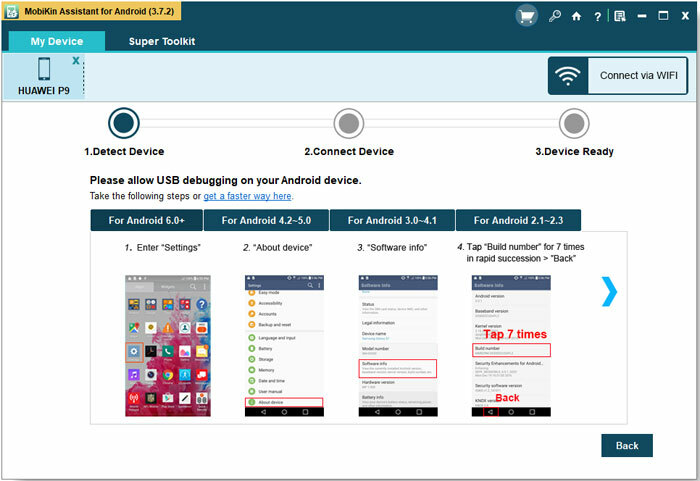 Download the Software and Connect the Device. Step 2. Detect the Device. Tick the "USB debugging opened" and hit "Next" button to install the USB driver, thus the program can detect your mobile phone and scan the files. You will see an interface with different options list in the left pane. Click the one option according to the files you want to transfer to preview the items on the right panel. Check and mark the target files and then hit "Export" to save them on your computer. In addition, you can also copy the files from your computer to the Android phone by clicking "Import" option. The processes of other files transfer are similar to this one. How to Group Texting from Computer? Install and launch the MobiKin Transfer for Mobile software on your computer and use a USB cable to connect your Meizu phone to the computer. Choose the "Backup on Computer" option from the main interface and you will have an option to transfer the files requested from your phone to computer via specific list (i.e. Calendar, Contacts, Photos, Music, Videos etc.). After selecting the files you want to transfer to computer, you can click the Start button to transfer the selected Meizu files to computer. How to Transfer Data from Lenovo Phone to Computer? How to Manager LG Apps on Windows/Mac?